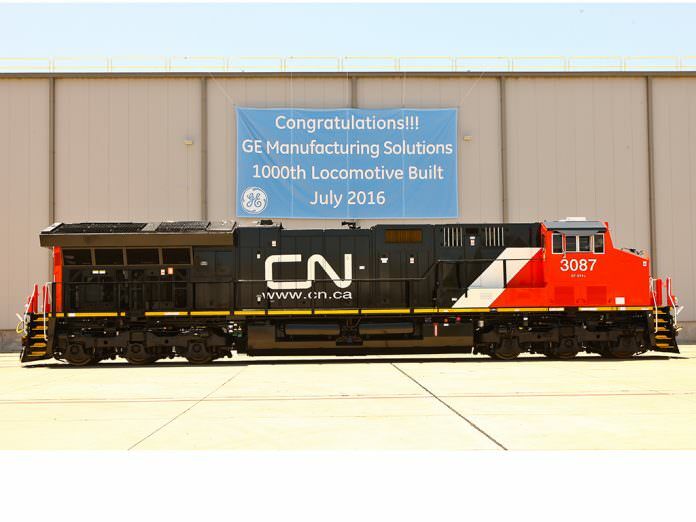 GE Transportation celebrated the 1,000th locomotive to be built at Fort Worth. Photo: GE. American conglomerate General Electric (GE) is looking at selling its transportation division in order to become simpler, stronger and to drive more growth. Reports of a proposed sale had circulated in the media prior to GE chairman John Flannery confirming rumours on November 13. After conducting a thorough review of the business, John – who has been tasked with bolstering GE’s profits after succeeding Jeffrey Immelt in August – said that the company needs to focus and strengthen areas that play to its unique strengths, such as in technology, services, additive manufacturing, and digitisation. Part of this strategy involves GE exiting $20 billion of non-core businesses, such as transportation, which it is “exploring strategic options around proposed sales”. It is understood that this process will take between one to two years. While the transportation business has grown on the international front – present in the likes of Brazil and India – there has been a downturn in demand in North America. GE Transportation manufactures locomotives, provides digital support services and is headquartered in Chicago. It employs approximately 10,000 employees worldwide. The announcement comes weeks after GE Transportation’s new president Rafael Santana began his new role. Aside from transport, GE is also present in the follow markets: power, renewable energy, oil & gas, aviation, healthcare and lighting. In 2016, GE sold its train signalling business to Alstom.